I hired Brothers EZ Moving company to help me move my grandma into an assisted living facility. It wasn’t an easy transition, but they made it look smooth and easy. They provided a fair quote as well. I got the service I paid for. Everything went as expected, there were no major disruptions or delays. They arrived for a pick-up as promised, used quality packing material to keep her belongings safe and did their best to make the move easier on my grandmother. Not only were they efficient and professional, but also had a very friendly and polite attitude. Brothers Ez moving will always be a good choice! 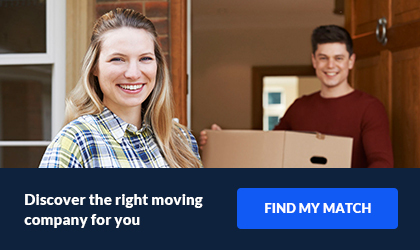 Everyone hates moving but this company made it a quick and easy process with Brother's EZ Moving . Aleixe was my sales representative and she gave me an accurate quote. She was patient and professional. On the day of pick up my movers Eric and Edward were on time and took care in handling my furniture. I can not express how grateful I am for a quick and easy experience. The rep at Brother's EZ Moving was again friendly and patient. It was during this call that I learned I would have to pay the remaining balance (so 50% of total was paid pre-move) directly to the mover by cash or money order. I was only told after a direct question. This would have been an issue the day of the move if I hadn't happened to ask, as we expected to pay by credit card like we had for our original deposit. So not an issue, but could have been had I not asked directly. Brother's EZ Moving was a great company to work with. I am very happy I selected them to complete my move from New York to Georgia. I was provided a quote after going over all of the items I needed to be moved and offered packing services as well. The customer care team was helpful and answered any questions I had throughout the process. I had a few minor damaged items which were handled by the claims team. I would recommend Brother's EZ Moving for any family and friends in need of a great moving company. 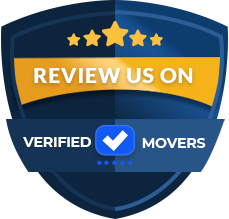 Brother's EZ Moving has some of the highest ratings in the Tampa area. They have almost a 5 star rating on all sites. The company values customer satisfaction and they always strive to achieve it. They believe in making each move as stress-free as possible. The company never cuts corners. There is no such thing as charging extra fees. 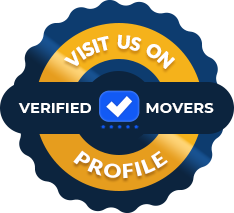 All of the movers go through rigorous training to ensure a perfect move. Every truck that preforms a move comes with 60 moving blankets, tools, a four and two wheel dolly, multiple rolls of tape and one roll of shrink wrap. All quotes include fuel, travel time and also taxes. They pride themselves in giving the most honest and accurate quotes as possible. Brother's EZ Moving will blanket and shrink-wrap all of your large furniture to ensure protection during the move. They also do this to protect your doors, floors and ceilings during the move! If you are looking for commercial, long distance or local relocation, you have come to the right place. Brother's EZ Moving is happy to help with your move. They provide packing services, as well as materials. So whether you want to pack yourself, or have them do it for you, they can help! They even offer half price on all materials when you opt into a full pack. This company understands the stress that comes along with having to pack. They want to assist you. If you are not ready for your items to be delivered, they also offer storage option. The will place your household goods into their facility until you are ready for them. Any curve ball that gets thrown your way, they are ready to help. Do not hesitate to ask questions. All of the employees are fully trained and ready to be at your service!